A donkey foal standing in bronze from the Frith collection by master animal sculptor Veronica Ballan. Appreciated all over the world over as hard working animals with friendly personalities, donkeys are loyal, affectionate and intelligent and have a rather unfair reputation for being stubborn. 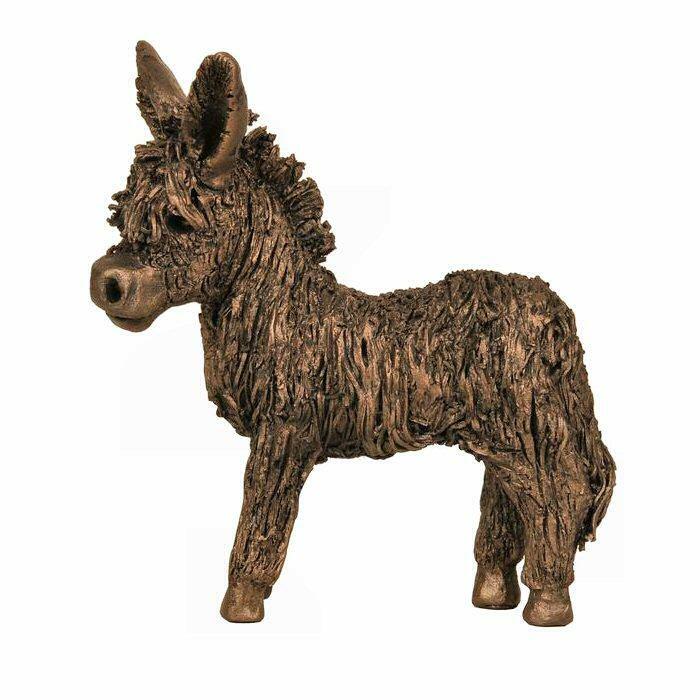 This expertly crafted sculpture in hand finished, cold cast bronze would be perfect displayed with one or more of the adult donkeys from the Veronica Ballan collection - an ideal gift. Supplied securely boxed and packaged.